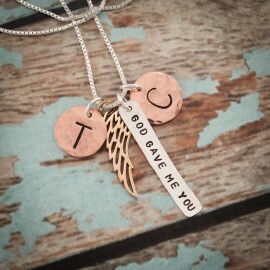 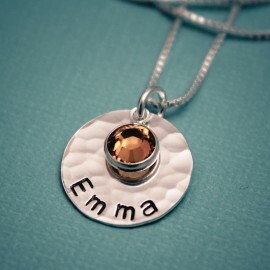 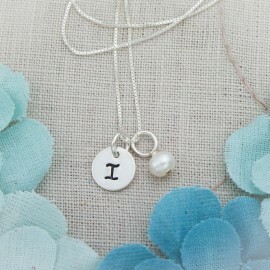 A petite tag, 1/4 inch by 1 inch, hammered and hand stamped with a date, name or word. 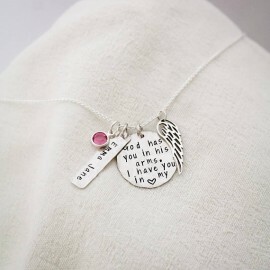 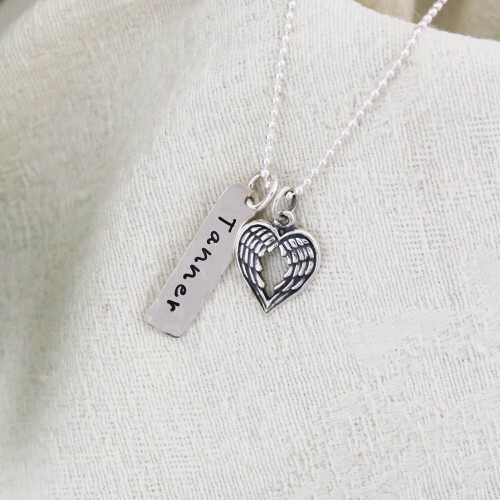 A cute sterling silver angel wing heart, dangles along side the tag. 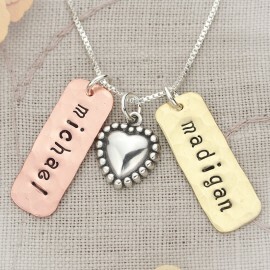 Add more tags for all your loved ones.